BTG Audio | It's your cable! I think its time that I eat the cost and provide cheaper shipping for my international customers. Lately, almost 25% of order have been from customers out of the country. A lot of them paying $25 or more just for shipping! I appreciate the support, and the continued support from my international customers has made it possible for me to consider subscribing to a new postage printing service and provide low cost postage for those who are patient. Traditional shipping services will still be available, but for those who don’t really care about the wait and want the cheapest shipping available, I will be offering (hopefully) sub $5 shipping. This cheap shipping comes at a price however. I will not be covering ANY lost packages shipped via this method and customers will need to probably wait 4+ weeks for the package. Hopefully, I can give back to those of you who have dealt with $25 shipping for so long! These changes will be rolling in come the beginning of July. Hopefully within the first week baring any webstore issues. I will be shipping some 90~ cables out to be turned into Starlight CIEM cables and Black Sunrise Cables very shortly (early July). I’m still waiting on new wire before I start the Sunrise CIEM cables up again. 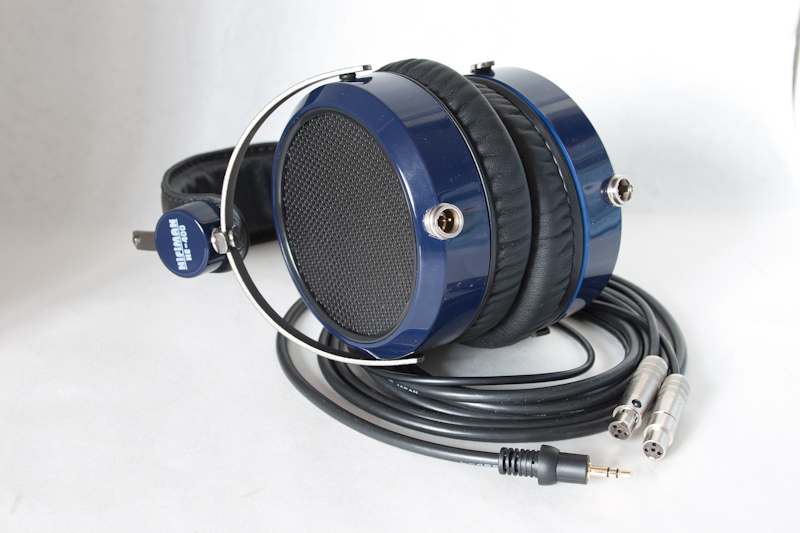 Hopefully this Gen 2 BTG-Audio wire will NEVER tarnish *fingers crossed*. Right now I am attempting to restock over 150 CIEM cables and 50 starlight cables. Work is moving along, but I am still waiting on some new wire before I can send the cables to the plastics company for CIEM molding. After that, I’ll be able to have PLENTY of stock (hopefully……) and better cables! About this new wire I am speaking of, as you may know I was informed of some greening/corroding issues with IEM cable users. Oils from the skin would permeate the XLPE insulation and cause the cable near the ears (where in constant contact) to turn green. Though performance does not suffer, aesthetics do. That is why I took the time to design my own cable from the ground up, rather than going with the Mogami wire traditionally used in my cables. This new wire will bring more manufacturing BACK to the US, moving me a few steps closer to only using USA made supplies and tools. The new copper wire will be 26 AWG, as per usual, insulated in the clear LLDPE (linear low density polyethylene) that is currently on my SPC wires (also made in the US!). Wire size will be exactly the same as before at 1mm in OD. Here’s where it gets interesting… The strand count has been bumped up to over 60 strands! Clocking in at 66 strands. This is two times the strand count of the previous wire. I was initially told that even at 26 AWG with 30 strands the bundle would be uneven, resulting in a wire that is more like 25 AWG, however with a new bundling pattern, it was possible to get more strands in while maintaining the 1mm OD! Here’s where it gets most interesting…. This time around, the wire will be coated with a base layer then insulated in LLDPE. This creates a double shield, making the wire much more resilient to corrosion from skin oils. Fingers crossed this works!!!! SPC wire will not share this same design until it is clear the new design works and wire can be sourced. So, once I get this completely custom BTG-Audio wire in, I will wrap up building the CIEM cables and ship them out to the plastics company. All new Sunrise cables will be made from this proprietary wire once I get the wire cleared. Anyway, I have some less depressing news as well! Since last blog post, I began designing a cable that would finally be certifiably corrosion proof. I am working with two American wire making companies to get the special cable made and I may be able to increase the flexibility of my cables in the process! I will be starting with copper, as per usual. It will be difficult to get silver plated wire, but I’ll try to source it however possible. Again, silver is not a priority. Let me know if you have a heavily corroded cable, and I’ll try to get you the new cables when they are built. Let’s see if this works! 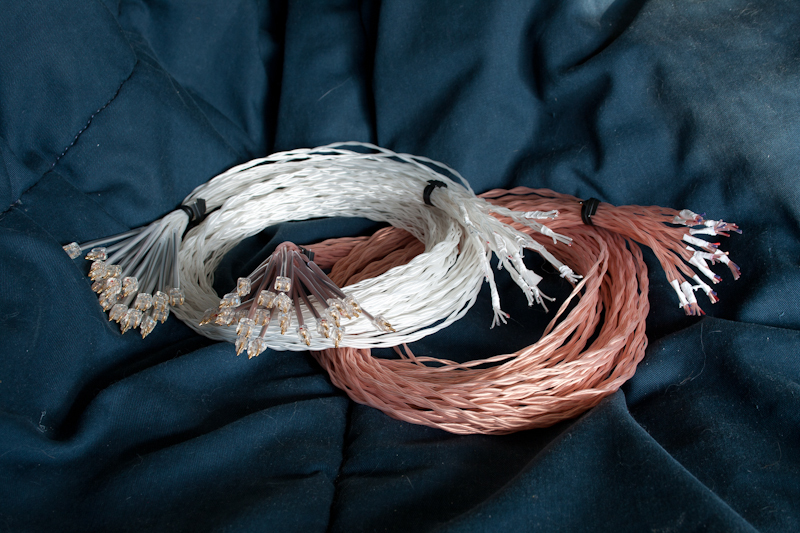 I expect to be releasing the corrosion free cables sometime in the fall, so stay tuned! Another cable that will be released much sooner will be a black CIEM cable. Typically, I would offer it as a special order with a 4-6 week lead time, but I will now be working to make it a regularly stocked product. I expect to have these new cables released by the end of June. Thanks for the support all! I’ll make sure to work overtime when I’m feeling better to get caught up with my 2 week lead time. It has come to my attention that some of the sunrise cables are experiencing green tarnishing. Unfortunately, literally no one has spoken up about this and I had to do my own searching. PEOPLE! Please tell me that the IEM cables are tarnishing so I can attempt to fix it!! Luckily the flexibly and durability does not seem to be taking a hit. Just the looks but the cable still functions. Not that I’ve ever claimed my cables to be tarnish free, but it would have been nice to know that some cables were going green. I’m surprised in all the time that I have been using my own cables, this has never happened. I guess I’m not very oily??? Either way, please notify me so I can address the issue if your cables have gone green. I’ll try to figure out how to either prevent it from happening all together, or provide cable maintenance tips to ward off the green. I think I will start pushing the black Sunrise cables and see what I can do about black Starlight cables. Although performance is not hindered, I still don’t like the look of green, which is why it may be better to have black cables. It’s finally here! The fit ear cables will be built and shipped shortly! Also the product pages will be updated to reveal the final cable design so there is no more confusion as to what they product will look like. I am very pleased with how the cables turned out. The company I worked with doesn’t usually put memory wire in the plug, but I was able to pick up so R&D cost to get it made. So now I have one of the first aftermarket Fit Ear cables!!! That’s right! I put down $400 for a set of He-400’s just to modify and see if I could put Mini-XLR connectors internally, and it worked! Just another case where I purchased a new set of headphones just to void the warranty and upgrade, but it all turned out great! Everything just barely squeezes together, and I learned a few things for modifying future Hifiman headphones (the grill shouldn’t just be pushed out, otherwise you break the little tabs on the inside and end up having the glue the grill back on. Ooops!). The modification will run $95, with the standard $5 discount if you also purchase a cable. Not much now, but I hope to add more information when it is requested. In other news, I just went to see an accountant and file my first year of business taxes. Pretty busy month for BTG-Audio, still working on some of last month’s orders! I had the single largest month first thing January. Luckily February was a bit slower so I could catch up, work on new projects (like the Hifiman mods and fit ear cables), and file taxes. But March is looking foreboding because I will be shipping another lot of cables to get CIEM, and Fit ear pins molded on. Running low on Sunrise cables, and the Starlights are selling quite quickly. Sold half my stock in a month of the release!!!!! For all of you who know me, that means if you have a special request for custom length Sunrise or Starlight cable, please contact me ASAP to get your order in. Thank you all again for the support. I couldn’t have done all of these things without the support of my customers. Referrals are basically 100% of my business, so THANK YOU! Fit ear cable almost here!! I received the shipping notification about the Fit ear cables. They should arrive this week, so please submit your orders before the sale ends!!! Thanks for all your continued support, it is really appreciated. I expect to have the production model pictures up very very soon!!! Well, USPS has new prices and they sure aren’t cheaper. To domestic customers, shipping will be raised about a $1. However the main problem is for international customers where the price was already high and continues to rise. The prices for international shipment is rising by AT LEAST $5. Ridiculous, yes. I apologize on behalf of USPS to my international customers (and there is a lot of you) for the ridiculous shipping prices. Sadly, I have no where else to turn since UPS and Fedex would be $70+.